Anson County North Carolina has 4 schools (high school, middle school, 2 elementary schools) with an average of 2,400 students. When teaching cooking safety we utilize a variety of props including: pots, pans, stove tops, and other common kitchen utensils. We stress no distractions (cell phones, children playing, etc.) We demonstrate 3 feet away from “hot” objects. We stress keeping a lid nearby to cover the pot. 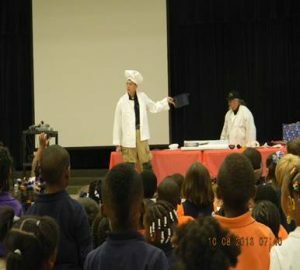 We have dressed in turn-out gear pants, apron and chef’s hat to engage audiences. We always stress the importance of alarms. I usually use an importance comparison: Most teenagers and adults have Cell Phones, if they break it is immediately a trip to store for repair or purchase; I then compare the importance of monthly alarm testing and the same attitude of repair or replacement of alarms vs cell phones. 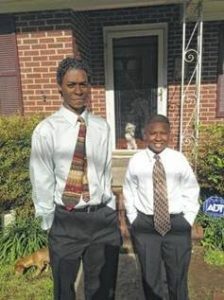 Mekhi is a student at Wadesboro Elementary School, and Rondell attends Anson High School. The department operates with 30 volunteers in addition to the Fire Marshal and Fire Chief. To be successful they partner with the Anson School System, the County Fire Marshal’s office, and many others in their community. The department relies on state and federal grants, and support from the community for funding programs. 15 years ago they had no budget for community outreach. Their success at reaching into the community with targeted programs at no cost has resulted in greater ability to attract needed funding. A diverse outreach program targets various risk factors and segments of the community. 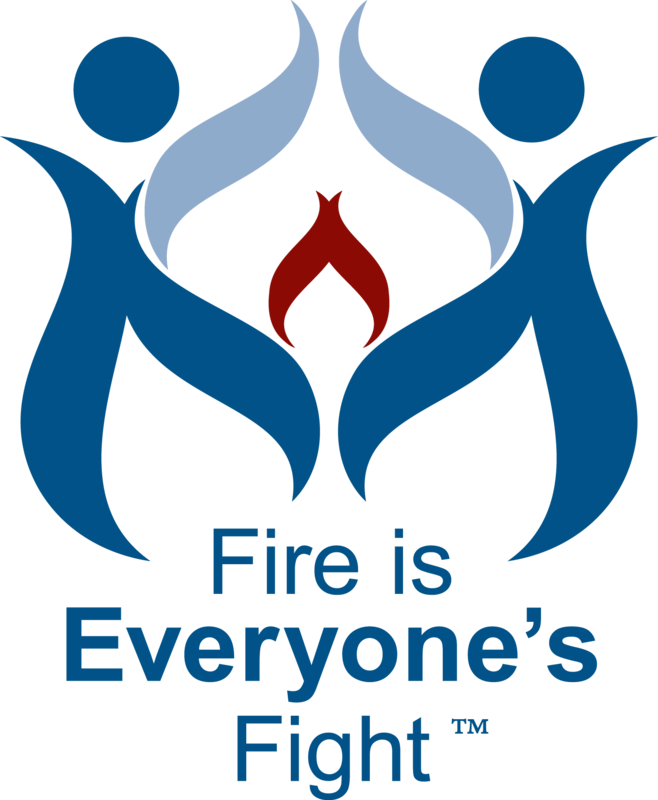 They recently installed 100 smoke alarms on one Saturday in homes where protection was lacking. An informal assessment of call response has guided program development. 92% of school children in this community of 5200 are on the reduced or free lunch program. This factor correlates with increased risks in low-income homes and the advantage of reaching children in those homes with life-saving prevention messages. Wadesboro Fire Department is in the process of building their first fire station in 106 years of operation. Previously they shared space with the police department and were limited in the type of programs they could conduct “in-house”. The support for this came from the community and testimony from the school superintendent, industry, and the faith community who have witnessed the value that the department brings to their community. Chief Sessions says that in his tenure he hopes his legacy is that he did all he could to “prevent” rather than to “respond”. What materials did this project use? Materials for education and outreach are purchased from reliable sources. They have no current source for bulk printing; however, they are open to including FIEF moving forward.